I am so incredibly moved by your ability to set your feelings down for evaluation and sharing to help others on a similar journey. Incredibly powerful and therapeutic. You three are often in my thoughts. This. I feel every bit of this with my daughter. VNS has be suggested, suggested again, now pushed at us and I feel absolutely hopeless. I hope this is the miracle your son needs and I’ll watch for updates to help us on our journey. Dave my prayers for your boy and your family. 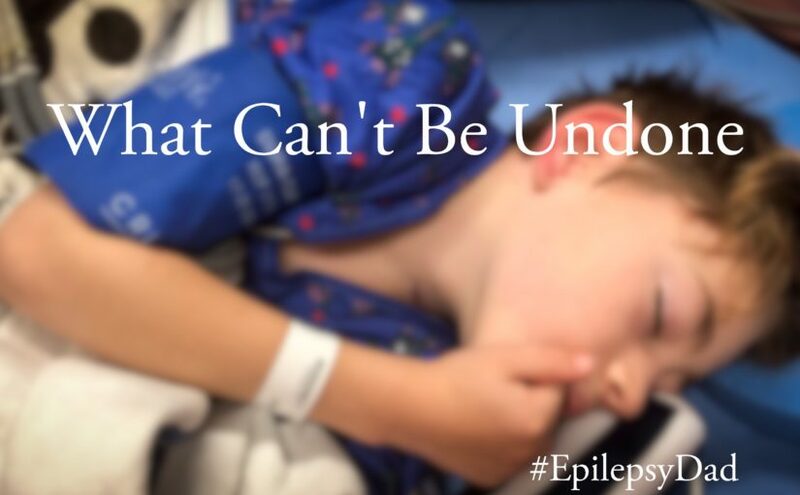 I regularly read your blog and my son who is 10 soon has epilepsy. You are very inspiring and reflective of the emotional struggle we go through as parents. My sons doctor suggests epilepsy surgery and we are scared. You expressed very good on the thoughts run in my mind as a father. Did you consider surgery to remove part of brain area that triggers seizures? My sincere wishes and prayers for your son to get well soon. Next Next post: Goodbye, 2018.